Promutuel Insurance Boréale: we insure you better. We've been insuring people in Amos, La Sarre, Labelle, Lebel-sur-Quévillon, Malartic, Maniwaki, Mont-Laurier, Mont-Tremblant, Sainte-Agathe-des-Monts, Rouyn-Noranda, Témiscaming, Val-d'Or, and Ville-Marie for so long, we know your needs better than anyone. That's why we can offer you the best home, car, business or farm coverage for your budget. Welcome to Promutuel Insurance, your home away from home! Insured members of Promutuel Insurance Boréale are invited to the Motel Villa Mon Repos (Richelieu room) on Friday, March 23, 2018 at 5:30 p.m. Motel Villa Mon Repos is located at 32 East Road, La Sarre. A light snack buffet will be served, and attendees will be entered into a draw. We hope to see many of you there! Please consult the meeting notice (french only). The wait is over. Online contracts are here! No more paper policies! With the brand new online service from Promutuel Insurance, you can now get your insurance policies and certificates electronically. How? 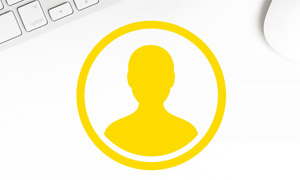 Simply by signing up for Online Policies in your Client Space ! This online service is sure to please. What’s more, by signing up for an Online Policy, you could win a $5,000 travel credit for your dream destination or one of twelve luxury suitcases! 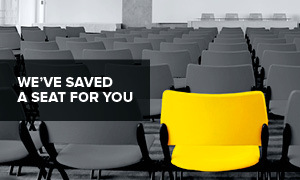 To learn more about all the benefits of your Client Space, click here. 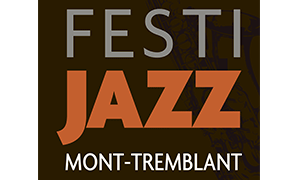 For the eighth year in a row, Promutuel Insurance Boréale is proud to be a major partner of the Mont-Tremblant Jazz Festival, taking place August 2–6, 2017. The festival features more than 40 free jazz concerts. Once again this year, Promutuel Insurance Boréale will be presenting the Piano Libre series. Read the press release (French only). Insured members of Promutuel Insurance Boréale are invited to the Royal Laurentian Resort (golf club) on Friday, March 31, 2017 at 5:30 p.m. The Royal Laurentian is located at 2237 Chemin du Lac-Nantel Sud, Saint-Faustin-Lac- Carré. We hope to see many of you there! For a nomination form (positions up for election), click the following link: nomination form (French only). 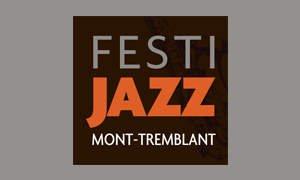 Promutuel Insurance Boréale invites its insured members and the general public to the eighth Festi-Jazz Mont-Tremblant, August 3 to 7. Thanks to partners like Promutuel Insurance, this event offers a high-calibre, diverse lineup of renowned artists, completely free of charge. Close to 40 concerts will take place on two outdoor stages and in ten Mont-Tremblant cafés, restaurants, bars, and hotels. Promutuel Insurance Boréale will present the Piano Libre series. 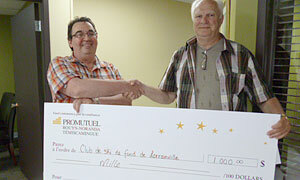 Promutuel Insurance is proud to sponsor the 9th annual Festival de la Rouge, taking place July 22 to 30 in Nominingue. As official presenter, the Mutual makes it possible for people to enjoy this vibrant cultural event in the region. The event is also an opportunity for Promutuel Insurance to promote the values of sharing and mutual aid that have always guided it. 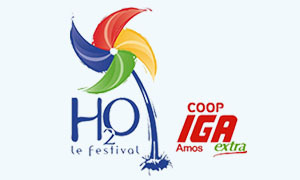 For the tenth year in a row, Promutuel Insurance Boréale is sponsoring H2O le festival (french only), July 7 to 10. This festive gathering in Amos offers visitors and locals a diverse musical program and a host of outdoor activities for the whole family. This year the Mutual will present the dragon boat races, an increasingly popular event. Promutuel Insurance Boréale is very proud to support this festival, a key event in the region. 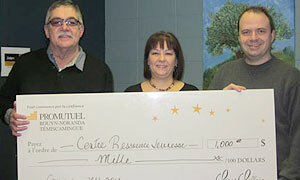 Promutuel Insurance Boréale is happy to support a Nominingue event! 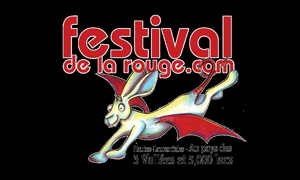 Promutuel Insurance Boréale is proud to be associated with Festival de la Rouge, a festive and unifying event. Our partnership with this major festival is our way of expressing our solidarity, cooperation, and engagement with the community, values that are dear to us. Our support for this festival makes it an important event for the region and contributes to the cultural development of Nominingue. The Mont-Tremblant Jazz Festival is a major regional event, and Promutuel Insurance Boréale is proud to be on board. We’ve always been big believers in community involvement, and the festival contributes to Mont-Tremblant’s sociocultural development. You could say it’s in perfect harmony with our values! 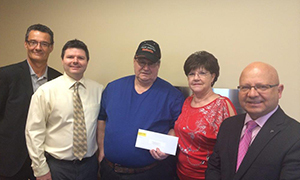 Rouyn-Noranda branch manager Luc Paquin (at left) and agent Lyne Bourret (at right) present Gilles Belleau and wife Paryse Boisvert with a prize representing payment of their insurance premium for one year, up to a maximum of $1,000. 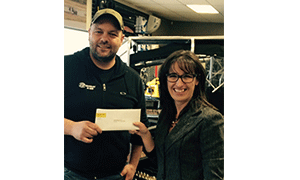 Vallée-de-l'Or branch manager Sophie Vincent (at right), presents Débosselage du Nord Inc. representative Carl Fleurant (at left) with a prize representing payment of his insurance premium for one year, up to a maximum of $1,000. At its most recent conference, the Canadian Association of Mutual Insurance Companies (CAMIC) appointed Yvan Rose, General Manager of Promutuel Assurance Boréale, to be its new Chairman of the Board of Directors. 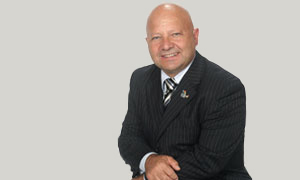 In this important role, Mr. Rose will have the opportunity to welcome mutual associations from across Canada to Québec, since the next CAMIC conference will be held in the Charlevoix region in 2015. It is important to note that it has been twenty-four years since a Québecer was last appointed to this position. Jacques Douville chaired the CAMIC Board of Directors from October 1990 to October 1992. This appointment is a valuable opportunity for Yvan Rose to represent Québec’s interests on the national stage, as well as being a great source of pride for the region. 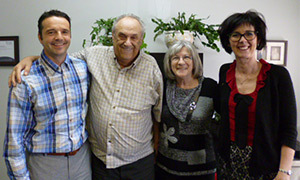 Amos, October 1, 2014 – Today, the managers of Promutuel Assurance L’Abitibienne and Promutuel Assurance Rouyn-Noranda — Témiscamingue received the necessary approvals from the regulatory authorities to combine their activities into a single mutual company. The new entity will bear the name Promutuel Assurance Boréale. “We are very proud of this combination. This is a great leap forward that will enable us to benefit from solid financial capital. 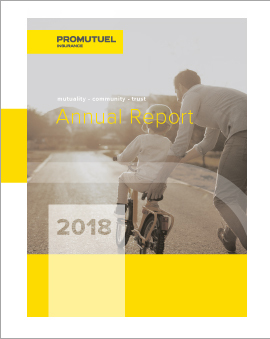 We will be in a good position to face the strategic issues of our industry, which is essential in the current environment, which is becoming increasingly competitive,” said Yvan Rose, General Manager of Promutuel Assurance Boréale. The Mutual’s head office will be located in Amos, at 282, 1st Avenue East. The Mutual will use the two old companies’ 12 service offices to continue to serve the insured-members of this large territory. 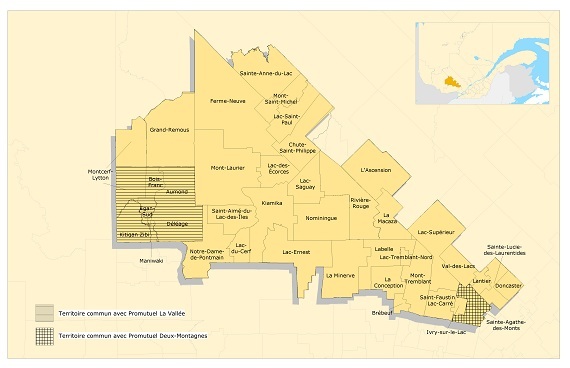 The offices are located in La Sarre, Labelle, Lebel-sur-Quévillon, Malartic, Maniwaki, Mont-Laurier, Mont-Tremblant, Rouyn-Noranda, Sainte-Agathe-des-Monts, Témiscaming, Val-d’Or and Ville-Marie. “The two mutual companies have always believed in the importance of cooperation and regional development, and it is in respect of these values that the combination agreement was concluded,” said Yvan Lévesque, the President of the new Mutual. Several steps were taken before the activities of the two mutual companies could be combined. The insured-members were first called upon to vote on this project at an extraordinary general meeting on May 26 and 27. An application was then submitted to the Autorité des marchés financiers (AMF), which had to make sure that the new Mutual would meet legal requirements. Finally, the AMF made a recommendation to the ministre des Finances du Québec, who approved the project. Promutuel Assurance Boréale will count on the expertise of 165 employees, serving its 40,000 insured-members. 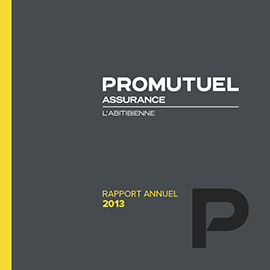 At December 31, 2013, the premium volume of Promutuel Assurance L’Abitibienne and Promutuel Assurance Rouyn-Noranda-Témiscamingue totalled almost $50 million, making Promutuel Assurance Boréale one of the largest mutual companies in the Groupe, in terms of sales. 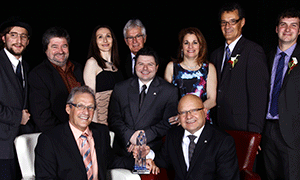 On Saturday, May 10, General Manager Yvan Rose and President Yvan Lévesque of Promutuel Assurance Boréale were proud to accept the David Gourd Award from the Chambre de commerce et d'industrie du Centre-Abitibi. This award comes as recognition for the significant contribution the Mutual Association has made to community development, specifically through its sponsorship initiatives and the dedication of its staff. Promutuel Assurance Boréale has drawn the lucky winners of its Payment Holiday for 1 Year Contest. 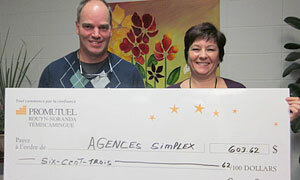 Congratulations to Roger and Lucille Sayeur, of Saint-Félix-de-Dalquier ! Our insured-members who submit a claim are invited to answer a survey once their claim is settled. The Take a Payment Holiday for 1 Year Contest acts as an incentive and helps us gather as much feedback as possible about our customer satisfaction rate. 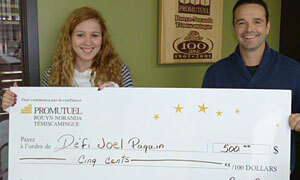 The prize represents payment of the insurance premium for one year, for a maximum amount of $1,000. Promutuel Assurance Boréale, société mutuelle d'assurance générale rappelle que son assemblée générale annuelle se tiendra le vendredi 28 mars 2014 à Amos. 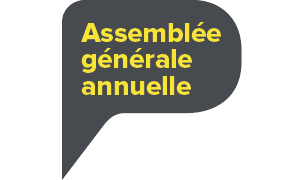 Téléchargez le bulletin de mise en candidature au poste d'administrateur pour les sièges numéros 4, 5 et 6. Considering the vast territory it covers, Promutuel Assurance Boréale gets involved in many events, including two major festivals with significant socio-economic benefits. It is a major sponsor of the Festival H2O in Amos, Abitibi-Témiscamingue, and the official presenter of the Festival de la Rouge in Nominingue, in the Laurentides region. Year after year, Promutuel Assurance Boréale awards thousands of dollars in donations and sponsorships to various regional organizations. These contributions to the community, in addition to being one of our association’s core values, is our way of contributing to regional development and acting as a committed and responsible corporate citizen. 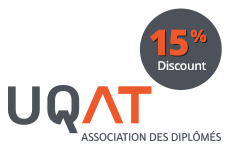 We have signed an agreement with the Chambre de commerce Témis-Accord to become an annual partner for 2013-2014. This sponsorship/partnership is about more than a financial contribution: it’s about sharing success. In addition to car insurance, home insurance, recreational vehicle insurance, business insurance and farm insurance, Promutuel Insurance offers a range of complementary products designed to meet insured-members’ needs. Use the menu to the right to discover our other insurance products. Thanks to its network of financial security advisors, Promutuel Insurance* offers its insured members access to a wide range of life and health insurance products. For information : 1 800 510-4630, extension 2322. 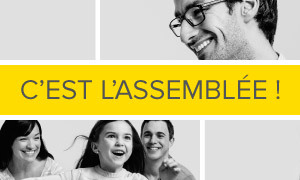 Boréale and sell products from a number of life insurance providers. Throughout its history, Promutuel Insurance has always viewed change as an opportunity for growth, finding ways to adapt without ever losing sight of its core mission as a mutual insurance association. In 2018, we used that strength to keep moving forward and standing out from the competition in an industry that’s rapidly evolving. 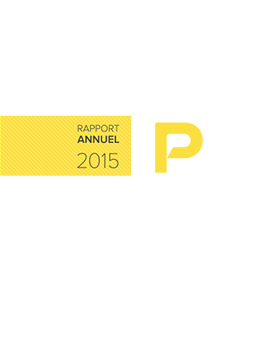 To see the results, we invite you to take a look at our annual report. The purpose of insurance is to protect our most precious possessions and provide peace of mind. 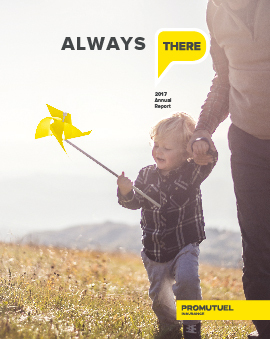 The numerous claims filed in 2017 were a stark reminder of our first and fundamental role as an insurer: being there for our insured members when they need us. We encourage you to read our annual report for a look at last year’s highlights and financial results. In 2016 we continued our efforts to provide an unparalleled client experience, in particular by increasing our digital presence and agility. Leveraging our clear vision and proven ability to adapt, we were able to succeed in a highly competitive landscape. 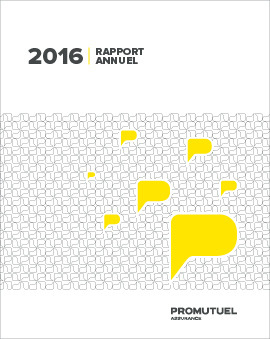 We invite you to consult our annual report, which summarizes our highlights and financial results from the past year. The year 2015 was brimming with rich and promising projects, which inspired us to step up our efforts today to confidently build a brilliant future for our organization. We invite you to consult your mutual insurance association’s annual report for its 2015 results. A lot of positive changes occurred in 2014, which bodes well for the future of our organization. This annual report provides a summary of our projects and results from the past year. 2013 will have unquestionably been a year of great achievements. We completed many projects and we have the impression that Promutuel is undergoing a renaissance, bringing greater success for the future. 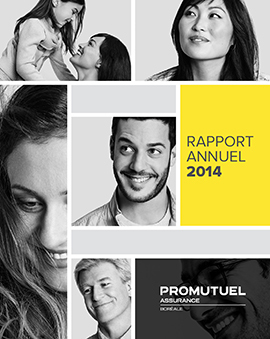 To learn more, refer to your Mutual company’s 2013 annual report (available in French only). 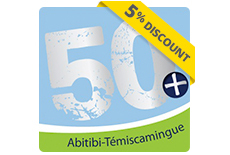 On October 1, 2014, Promutuel Assurance L’Abitibienne and Promutuel Assurance Rouyn-Noranda − Témiscamingue merged to become Promutuel Assurance Boréale, forming one of the largest mutual associations in Groupe Promutuel in terms of sales. The mutual association’s head office is in Amos. To continue serving all insured-members across the broad geographical area covered by the new mutual association, all thirteen service offices of the two former entities remain open. Founded in 1926 in Amos, the first parish mutual started out its operations in the offices of the local agricultural co-operative. In 1950, it became a county mutual in order to expand its territory. As amendments were made to the Act respecting insurance, the mutual association changed its corporate name and saw its mandate expanded. In 1985, the Mutuelle contre l'incendie d'Abitibi continued to grow, merging with another fire insurance mutual, the Mutuelle contre l'incendie de Ferme-Neuve, to become the mutual association known as Promutuel L'Abitibienne. Followng that merger, new service outlets were soon opened, namely in Mont-Laurier and Saint-Jovite, to support the mutual association’s sales initiatives. 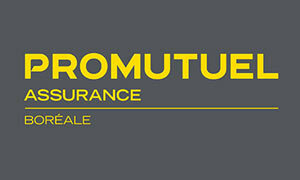 Promutuel Assurance Rouyn-Noranda – Témiscamingue was the result of the merger in 1977 of two fire insurance mutuals, the Société mutuelle d'assurance contre l'incendie de Témiscamingue and the Compagnie d'assurance mutuelle contre le feu de Saint-Bernard de Beauchastel. At the time of the merger, the mutual association’s head office was established in Lorrainville, then was moved to Ville-Marie in 1984. 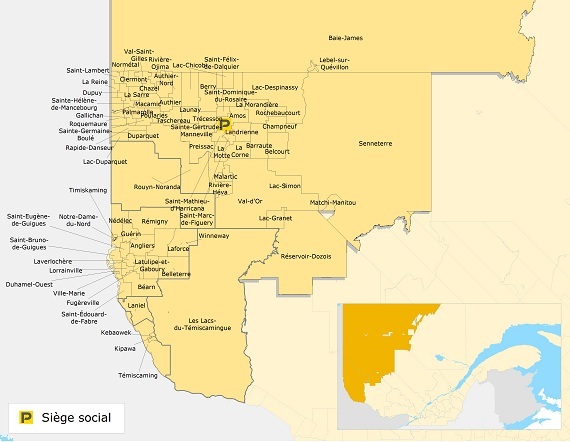 The potential for development in the territory served by the mutual association was strong, since the area covered some thirty municipalities with a population of some 55,000 people. To better serve its customer base, the mutual association operated offices in the largest municipalities in the region. Solidarity, mutual aid and cooperation are three core values that are woven into the very fabric of your Mutual. Your Mutual is dedicated to investing day after day in the community, and is proud to have contributed once again this year to the socio-economic health of the region through the donations and sponsorships it has provided to various organizations. Your Mutual is a partner of choice in the success of many local events and initiatives. We have introduced a survey for insured-members who have filed a claim with Promutuel Insurance to give us feedback on the service they received. 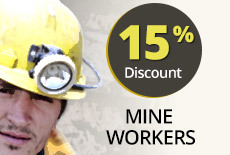 This survey will also enable us to improve the service we deliver to our insured-members. The survey can be found online at http://www.promutuel.ca/sondage and access is restricted to insured-members who have received a PIN. Not all insured-members who file a claim will systematically receive a PIN to access the survey. If you have filed a claim with Promutuel Insurance and have not received a PIN by mail or by email, but wish to share your comments with us, please do so by following our complaint process: https://www.promutuelassurance.ca/en/complaint-process.